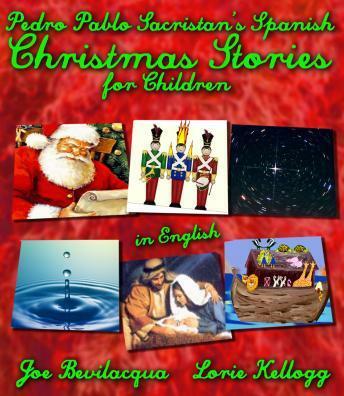 Visit Santa at the North Pole, witness the birth of Baby Jesus, go inside Noah's Ark and more--with these ten timeless short stories, by noted Spanish children's author Pedro Pablo Sacristan, that will charm and entertain your whole family! Produced with wonderful sound effects and music by veteran radio theater producer Joe Bevilacqua, and performed by husband and wife team Joe Bevilacqua and Lorie Kellogg. Christmas stories include: "The Best Choice," "A Forced Christmas," "Bula the Traveller," "Christmas Presents," "The Please-O-Meter," and "The Little Christmas Star." There are also the stories "The Tidy Toys," "The Match and the Toy Men," "Problems on the Ark," "A Colorful Head," "A Drop of Water," and "Balloon Acrobatics."